Apparently, there is a sure-fire formula for achieving success. And, evidently, both the Beatles and Bill Gates know what it is. Bestselling author Malcolm Gladwell did some research on my behalf and published his findings in a book titled Outliers. At the end, he remarks that it wasn’t intended as an autobiography, but that one could read it as an extended apology for his success. I guess that means he knows what he’s talking about. In this, his third, million-selling book, Gladwell looks at his own life and identifies factors that made him – and, by extension, the billionaires of his generation – stand out from the crowd. Aside from talent, he argues that success comes down to two basic things: opportunity and hard work. Without one of these ingredients, you’re probably destined for an-eight-to-five job until the day the system kicks you out. One interesting example he uses is that of a genius named Christopher Langan and his contemporary, Julius Robert Oppenheimer. Despite similar IQs – way above that of Einstein – the former ends up as a farmer after a stint as a bouncer and the latter a nuclear physicist. The difference between them, says Gladwell, is to be found in their exposure to opportunities. Langan was raised in a rural community in Missouri while Oppenheimer was the son of an influential businessman – art dealer and so forth – in a posh neighbourhood of Manhattan. Gladwell, who believes his exposure to opportunity came after an enslaved ancestor fell in love and married a rich plantation owner, says there was simply no one in Langan’s life and nothing in his background to help him take advantage of his talents. But being born into privilege with a measure of talent is only half of the success story; the other half is about blood, sweat and tears. He calls it the ten-thousand-hour rule. According to this, when you practise a specific task, you’re actually honing that skill or talent. And the geniuses separate themselves from the merely talented by “practising” much, much more. The Beatles, for instance, performed over a thousand times in Germany from 1960 to 1964 to meet the rule. On their return to England they sounded like no one else and that was, according to their biographer, the making of them. In Gates’ case, opportunity and grafting came in the same guise. He gained access to a school computer at the age of 13 when these weren’t readily available and spent more than ten thousand hours programming it. Gladwell suggests that had Gates not been given this opportunity, he would still have been a highly intelligent, driven and possibly successful individual – but probably not to the tune of billions. His unique set of circumstances, combined with his obvious intelligence and drive, was the magic formula that had set him apart. An interesting case study Gladwell uses is that of the Canadian hockey team, which consists of a disproportionate number of players born at the beginning of the year. He argues that dividing youngsters into calendar-year age groups as they come through the system gives those born earlier in the year a distinct advantage – because they are physically more mature. They are then singled out for additional and more focused coaching, which hones their talent faster than their “younger” team-mates – and this sets them well on their way to achieving the ten-thousand-hour rule. I’m no Gates, but, looking at my life, it is noteworthy how I have excelled at the things that I’ve put more time and effort into. My teens were spent reading and riding and, twenty-odd years later, I run a company specialising in sports PR. Add to that the fact that I was much better at my job in my thirties than twenties (my portfolio proves this) and Gladwell’s rule rings even truer. 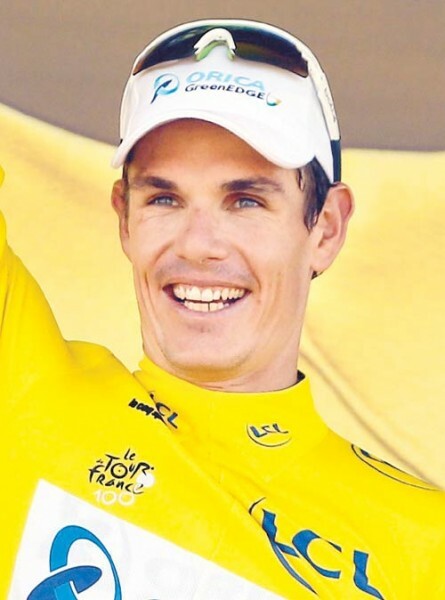 He says it roughly equates to twenty hours per week for ten years – bang on target if you look at the following social media post after Daryl Impey took yellow at the Tour de France. It went something like this: “Congrats Daryl! Ten years of hard work to be an overnight success”.